Chelsea have reportedly had an encouraging update on their interest in sealing the Krzysztof Piatek transfer from Genoa after his tremendous start to the season. The Poland international has been a revelation in Serie A this season, scoring 13 goals for his new club after a relatively low-key move from the Polish league in the summer. Since then, CaughtOffside have learned Piatek’s prolific run of form has attracted interest from a number of top clubs, with Chelsea sounding out his representatives over a possible move as they make a new striker a priority target for January. Despite the Blues’ strong start to the season, there is an obvious concern about the lack of goals so far from Alvaro Morata and Olivier Giroud, who have just two between them in the league so far. The good news for Chelsea seems to be that the 23-year-old looks to be available for a price they’ll surely feel is perfect affordable for them, with football.london reporting he can move for around €60million. While this might be a lot to pay for a player who remains inexperienced and unproven to a degree at this highest level, his remarkable start to life in Italy means he seems worth the gamble. Especially as Chelsea would surely struggle to find any other striker worth signing for that kind of fee anywhere else. The report from football.london also mentions interest from Liverpool, Tottenham and Napoli, so CFC may have competition for his signature, though they surely need a new striker more than their Premier League rivals, who have goal machines like Mohamed Salah and Harry Kane in their ranks. 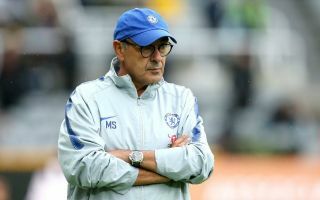 Given Chelsea’s strong start to the season despite the lack of an out-and-out goal-scorer, this signing really could be key to helping them maintain a title challenge in the second half of the campaign.